Since the beginning of time, Desert Locusts have been a subject to hatred and fear. Their habits are simple – they reproduce at lightning speeds, and when the population has reached its peak, they move to a new area, leaving destroyed crop fields behind them. The largest population of these animals currently resides in the Sahel region in North Africa, although they are also widespread all over the Arabian countries, Iran, Israel, Turkey and South of Spain. Despite the efforts to control their numbers to reduce the massive damage done to crop fields, their population still remains high, and millions of tons of crop are destroyed every year. In the Locust’s life there are two periods – one is when they’re solitary and the other is when they gather in huge swarms. During the solitary phase these bugs are sandy coloured, while in the grouping period, they’re orange mixed with brown, which is why in the past those were thought to be two different species. When there is enough food, Desert Locusts live alone, but when the food becomes scarce, they form massive swarms and roam large territories in search for food. Early morning or late evening is when the Locust swarms start their journey. 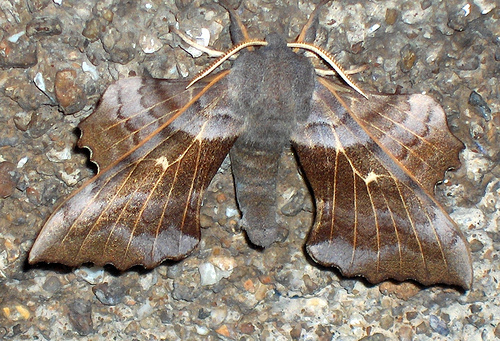 They can make up to 80 kilometres a day and travel a distance of 3000-5000 kilometres over a few months. 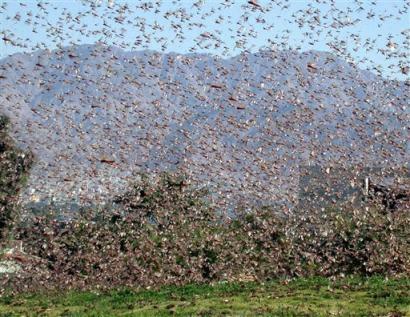 The swarms can consist of even 50 billion Locusts, eating 80 tons of crop per day. In 1988, a swarm even managed to fly over the Atlantic Ocean, measuring a 5000 kilometre long distance over as little as six days and this can be considered as the bugs’ petition of spreading to the New World. 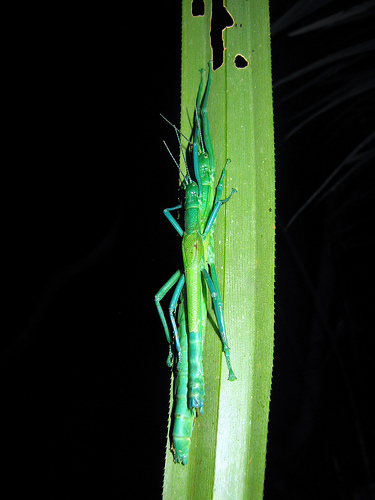 As for the mating, Desert Locusts are also highly reproductive. Females lay multiple sets of 80-100 eggs each in the warm tropical sands, which hatch as early as 10-14 days later, or up to 70 days in colder regions. When the locusts hatch, they look like a miniature of their parents. Constantly feeding, it drops the skin four times, until in the end they become grown individuals. When food becomes scarce, the newborn locusts again create a new swarm and start ravaging farmlands. From the moment of hatching up until its death, the locust never stops eating. They basically eat all vegetation – leaves, fruits, flowers, grass, even branches and trees. Each individual eats food weighing as much as themselves every day. 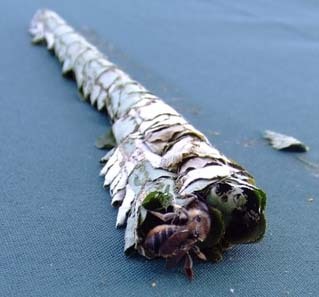 The sight of a Locust swarm might be the most dreadful thing for a farmer or fruit grower. In fact, the current population of Desert Locusts can cover a 30 million square kilometer area, which is 20% of Earth’s total area. Every year the Locusts cause damage measuring in millions of dollars, and while the wingless larvae can be sprinkled with insecticides, eradicating these pests is impossible.